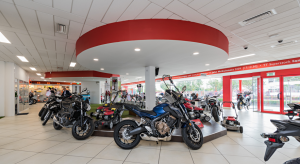 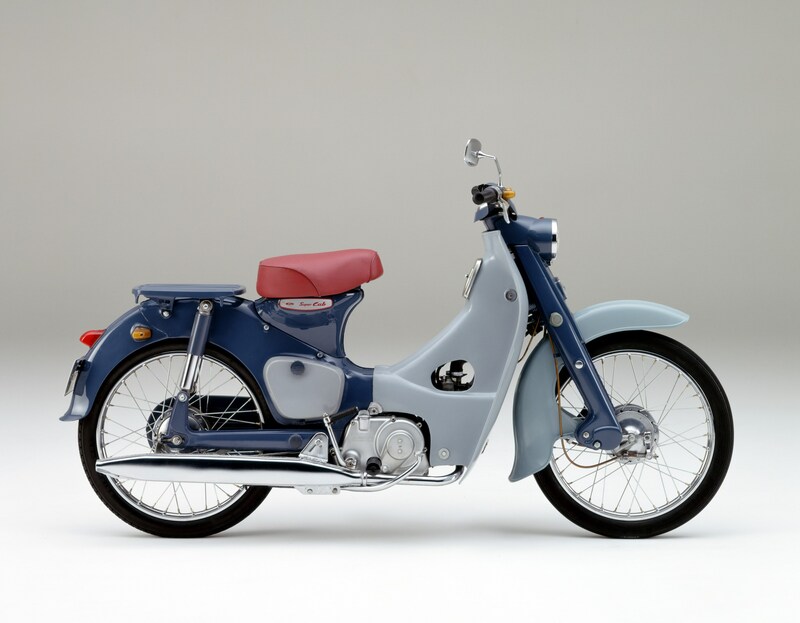 The Super Cub’s simple attributes of style, reliability, frugality and sheer usability have never gone out of fashion; it has quietly achieved exactly what the founders of Honda wanted – to get people mobile and keep them mobile. 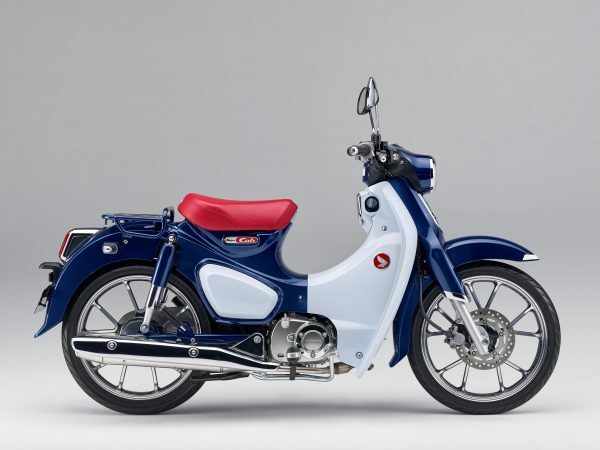 Aware of a whole demographic of urban riders – both younger and more mature – who are looking for retro-inspired machinery with real credibility and head-turning style, Honda is unveiling the Super Cub C125, an evolution of the legendary machine and the next chapter in its long history, designed for modern life in a busy city. Style: A subtle evolution of the classic clean and timeless Super Cub style. 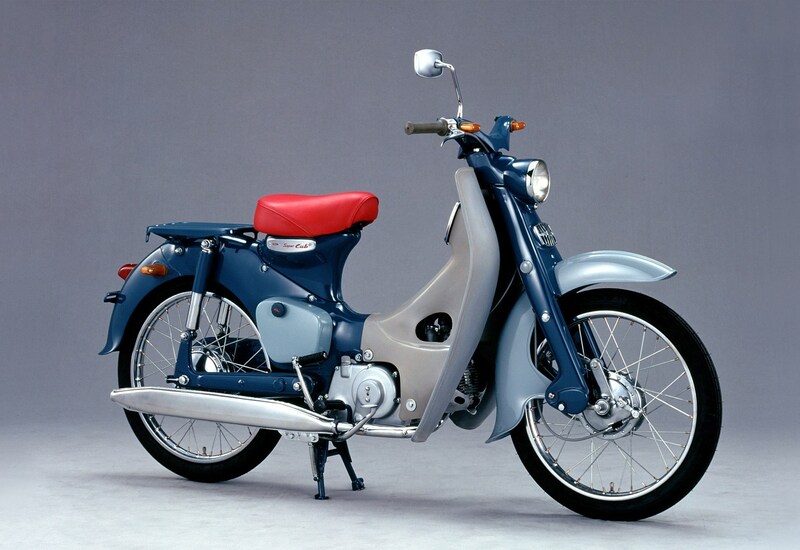 The Super Cub 125 is designed with one word in mind; universality. 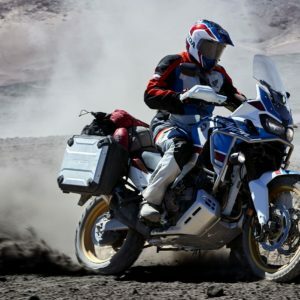 In other words, it has to be easy for a wide range of people to use. A key part of this ethos is the laid-forward ‘S-shaped silhouette’, which runs from the step-through space to rear mudguard, making access on and off easy. 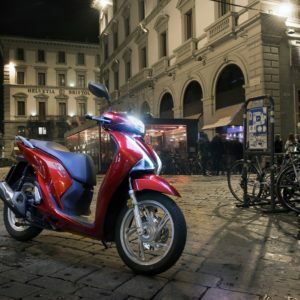 LED: All lighting is contemporary and crisp LED while the instruments highlight the depth of the overall design with two lenses separated by dual chrome rings; the outer ring houses the sweep of the analogue speedometer’s needle plus warning lights, the inner an understated, digital display. Pressed Steel: Parts of the Super Cub are made in pressed steel, in particular the rear guard is ultra-thin – and made of pressed steel rather than plastic – to help emphasize the classic ‘S-shape’ silhouette. 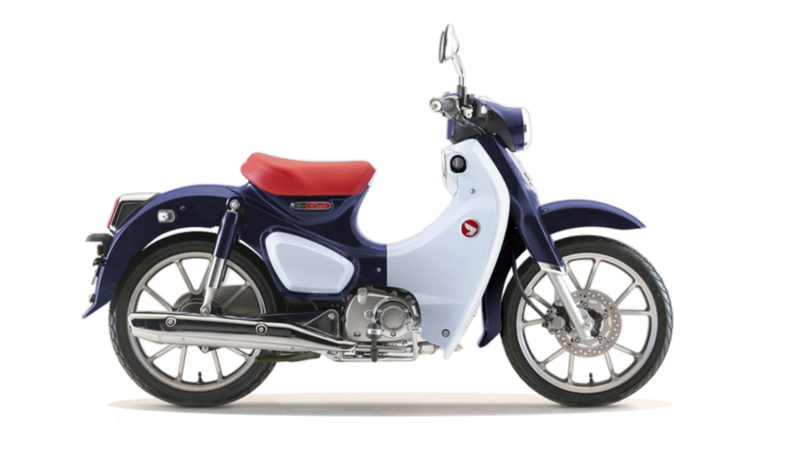 Comfortable: Easy to use, with comfortable riding position and smooth, stable handling. 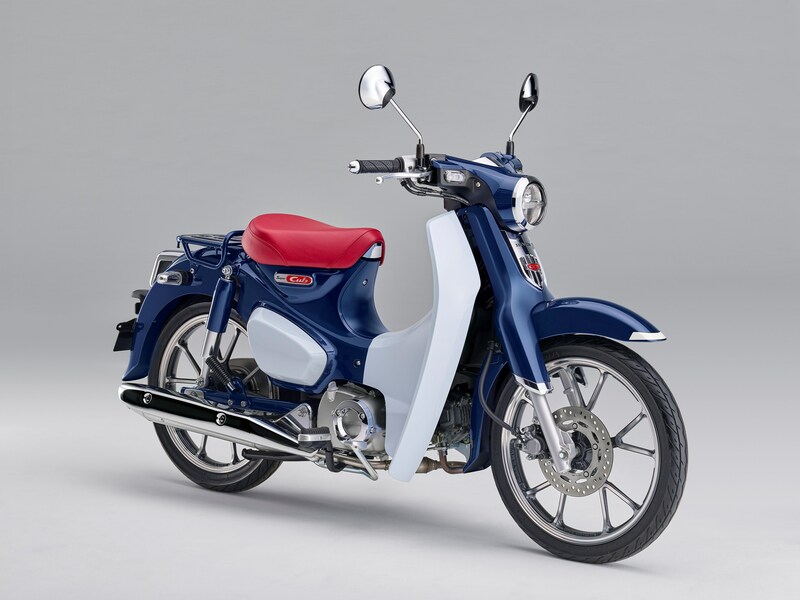 A key element of Super Cub from the first model is the ‘unit’ steering, which unifies the separate elements – forks, handlebars and leg shields – into one cohesive whole. 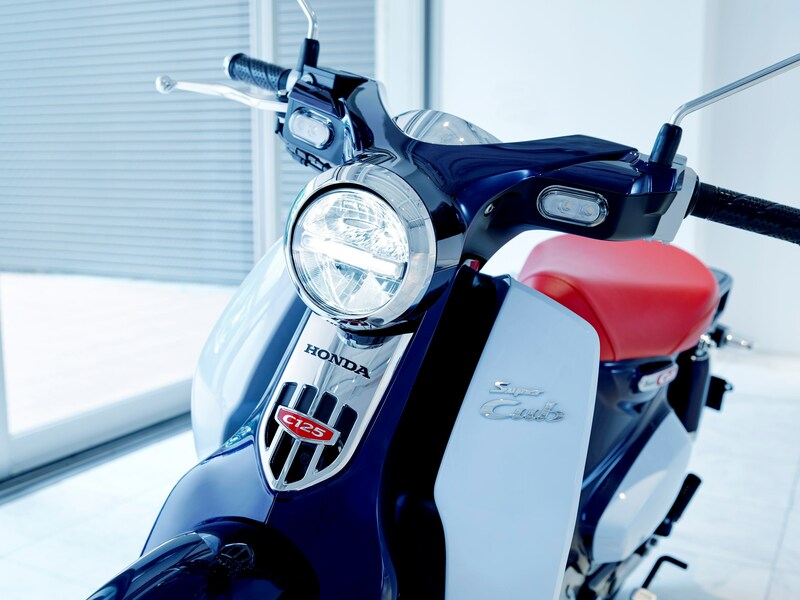 The new model – with its forged, tapered handlebar wrapped in curvaceous moulded resin incorporating the switchgear and instruments – mirrors this motif. 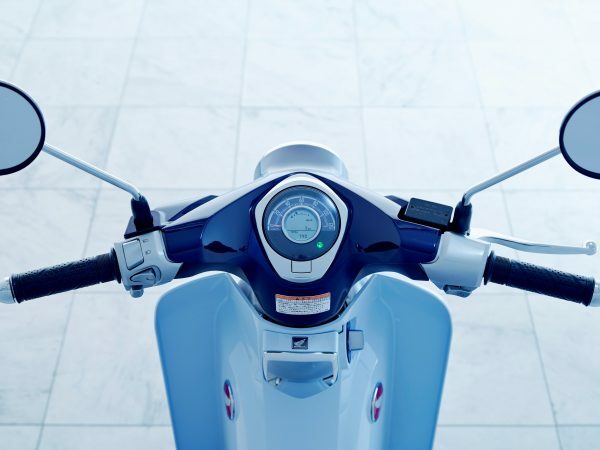 Easy Grip: The grips are placed in a natural, easy to hold position and complement the straight-backed riding position, which gives excellent forward and all-round visibility. 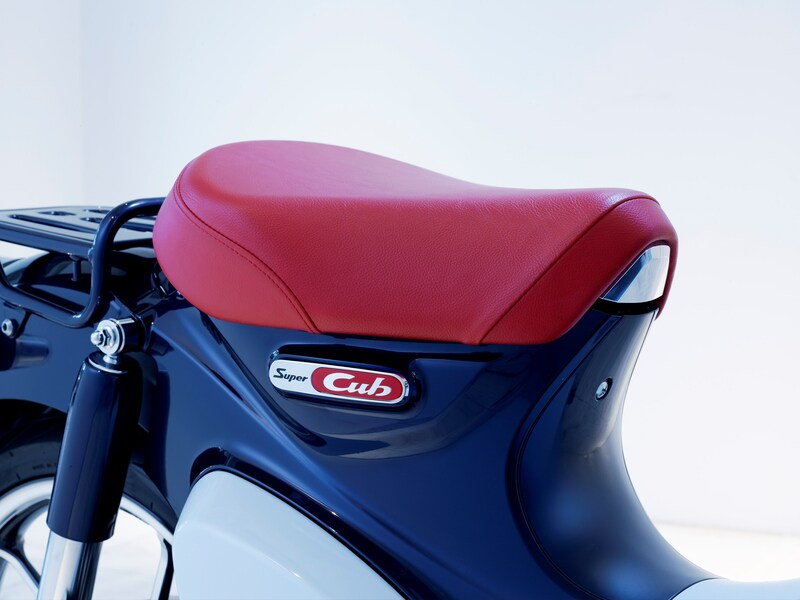 High density comfort: Aiding comfort, the seat uses thicker, high-density urethane foam than previous models for enhanced comfort and is also cut back on both sides up front, helping ground reach. Smart Key: A modern finishing touch is the Honda Smart Key; put it in a pocket and forget about it, the Super Cub C125 is live and good to go. And, with a nod to its forebears (and underlining its Honda history) a historical 3D ‘Old Wing’ logo crowns the Smart Key fob. 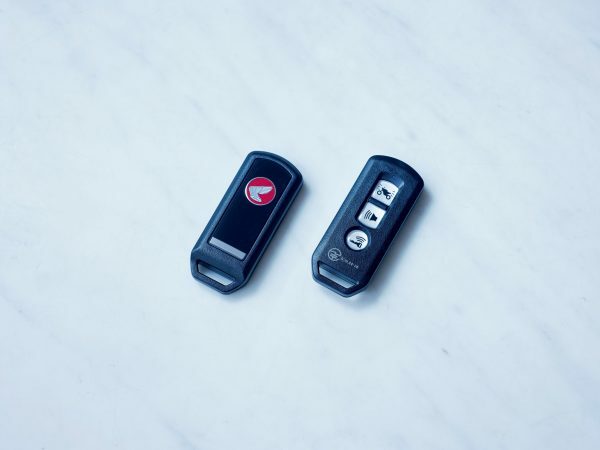 Immobiliser: The Smart Key also controls the immobiliser as an extra theft deterrent, and is equipped with an ‘answer back’ function whereby the indicators will ‘blink’ at the push of a button to make finding the vehicle easy in busy parking areas. 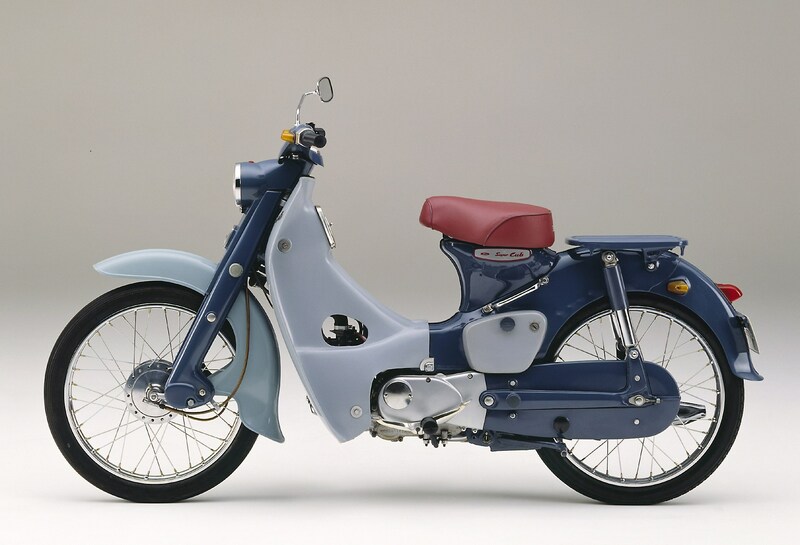 Balance & Ease of Use: To maintain its reassuring nature, but upgrade it for the 125cc specification, the Super Cub C125 started with the C110 tubular steel ‘backbone’ frame as a base. 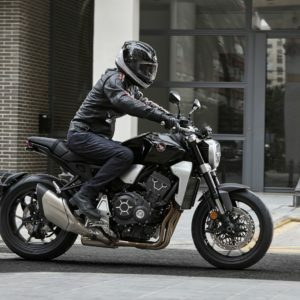 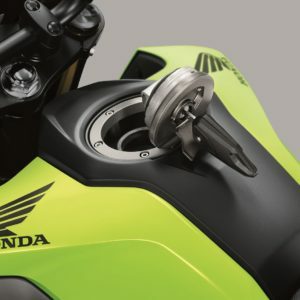 The rigidity balance has been tuned around the headstock and engine hangers, to optimise performance for the larger capacity engine while handlebars and seat are now rubber mounted. 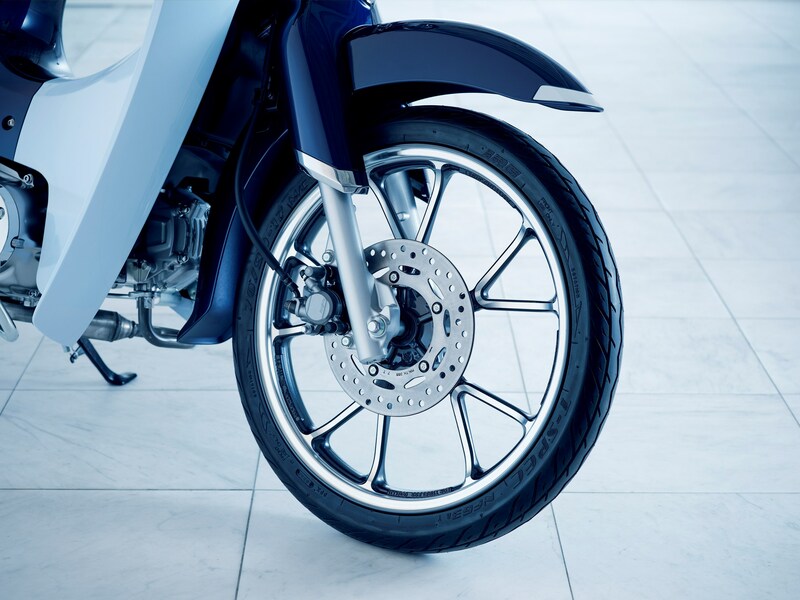 The footpegs also feature rubber inserts.